Great rates for dump trucks! We offer super preferred rates for companies with no claims in the last three years and great rates for companies with prior losses including drivers with multiple tickets. Call us today at 1-800-998-0662. Tow Truck InsuranceThe coverage you Need! We can help your company find insurance to protect your vehicles for comprehensive and collision claims in addition to liability exposures including damage to vehicles while being towed or garaged at your facility. Landscapers InsuranceThe coverage you Need! 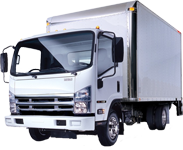 Box Truck InsuranceThe coverage you Need! Courier InsuranceThe coverage you Need! Owner OperatorThe coverage you Need! We can help you find the coverage you need to protect your Trucks no matter if your radius of operation is local or across the country. Need coverage today? We can help Click our link below. We take pride in being the best Tow Truck Insurance and Sand & Gravel Insurance in the nation. Call 800-998-0662 when searching for tow truck insurance for your company. We offer commercial truck insurance programs for tow truck companies in Ohio, Kentucky, Michigan, and Indiana. Coverage may include primary tow truck liability insurance, On- Hook Insurance, Garage Keepers Legal Liability, Physical Damage coverage for your vehicles, in addition to Uninsured Motorist Coverage. Click here to read more about our Tow Truck Program. Many commercial truck insurance companies will not insure sand and gravel operations because of previous loss history as a class of business. 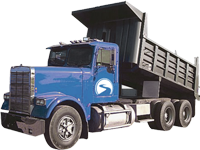 Pathway Insurance represents top rated companies interested in insuring companies hauling sand and gravel. Call us at 800-998-0662 or for more information on our commercial trucking programs. Are you an owner operator? If so contact the professionals at Pathway Insurance. We can help you find great rates on owner operator insurance in Ohio, Michigan, Kentucky, or Indiana. 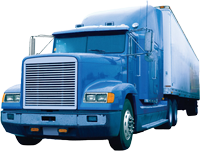 Click here for more information on our trucking insurance programs.